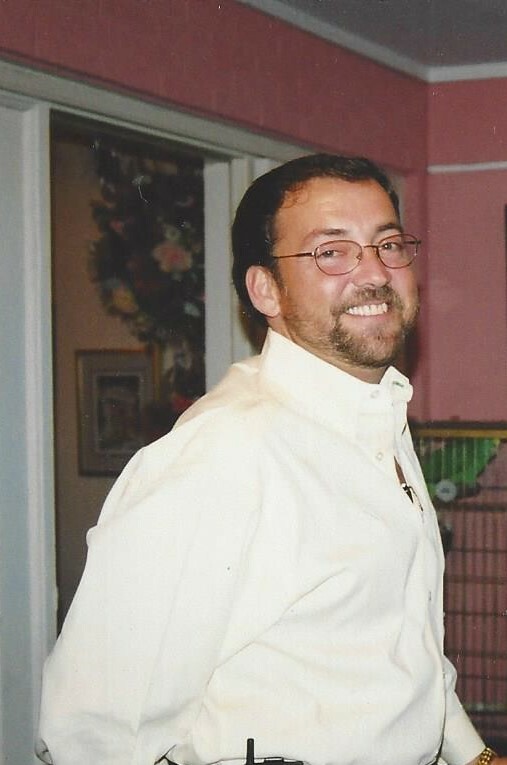 Marc Lewis Jones, 56, of Daytona Beach, passed away quietly on February 4 after a brief illness and heart surgery. He was a precious man with a gentle spirit and a willingness to help everyone. He will always be remembered as the handsome, sharp dresser with a contagious smile. Working with his close friend Pat Fischer, Marc had a very successful career as sales manager at Pat Fischer Nissan of Titusville. He enjoyed helping people be able to purchase the car they wanted, especially his family. A native of Anderson, SC, he came to this area in 1996 from Greenville, SC. He enjoyed riding his Harley Davidson motorcycle “The Bionic Bike,” skydiving, golf, and spending time with his family. He will be greatly missed by his coworkers, his community, his friends, and his family. Marc leaves behind to cherish his memory, the love of his life, his wife Charity Jones; his sons, Mason Jones of Daytona Beach, Colton (Meshia) Smith of Titusville, and Aron Thomson of Titusville; devoted mother, Candy Jones Gilman of Daytona Beach; beloved brothers, Greg (Susan) Jones of Terrell, NC and Lester (Ansley) Jones of Athens, GA; and three adoring grandchildren, Connor Thomson, Jackson Thomson, and Aiden Gillis. He was predeceased by his father, Wallace L. Jones, Jr., and grandparents, Vii Leinfelder, Catherine Jones Hilliard, and Wallace L. Jones, Sr.
His family will receive friends from 5-7 p.m. on Friday, February 8, at the Heritage Place at Baldwin Brothers Funeral Care, 620 Dunlawton Ave., Port Orange, FL. They will celebrate his life with a Mass of Christian Burial at Our Lady of Hope Catholic Church on Saturday, February 9, at 11 a.m. Following the service, he will be laid to rest at Oaklawn Memorial Gardens in Titusville. You are invited to share your memories with the family at www.baldwincrcemation.com. Baldwin Brothers, Port Orange is in charge of arrangements. Debbie and I are so sorry to hear of Marc's passing .You are all in our thoughts and prayers . Much love Bobby and Debbie . I only worked with Marc a few months, but he was a great coworker. He was always willing to answer questions and help with anything. May your memories comfort you. I only worked with Marc a few months, but he was a nice coworker. He was always willing to help answer questions or do any thing asked of him. I know he will be missed by many. May your memories comfort you. Greg, I never met your brother but from everything I heard he was a good man. May the peace of Christ be with you, your mom and Marc's family in the days ahead. Eternal Rest grant upon Marc, O Lord, and let perpetual light shine upon him.